Dogs with long fur are so good looking and gorgeous that one can but refrain looking at them. 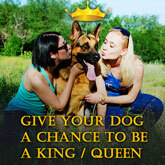 But their dog owners know that to make them look so beautiful they spend a lot of time combing and brushing them. 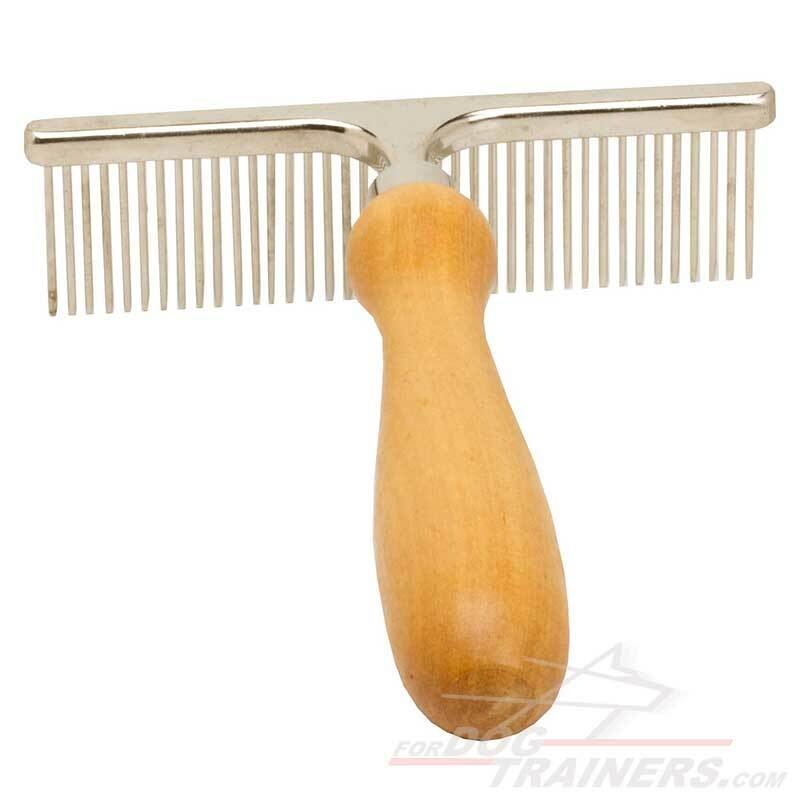 So the question "What comb should I get?" arises very often in their heads. 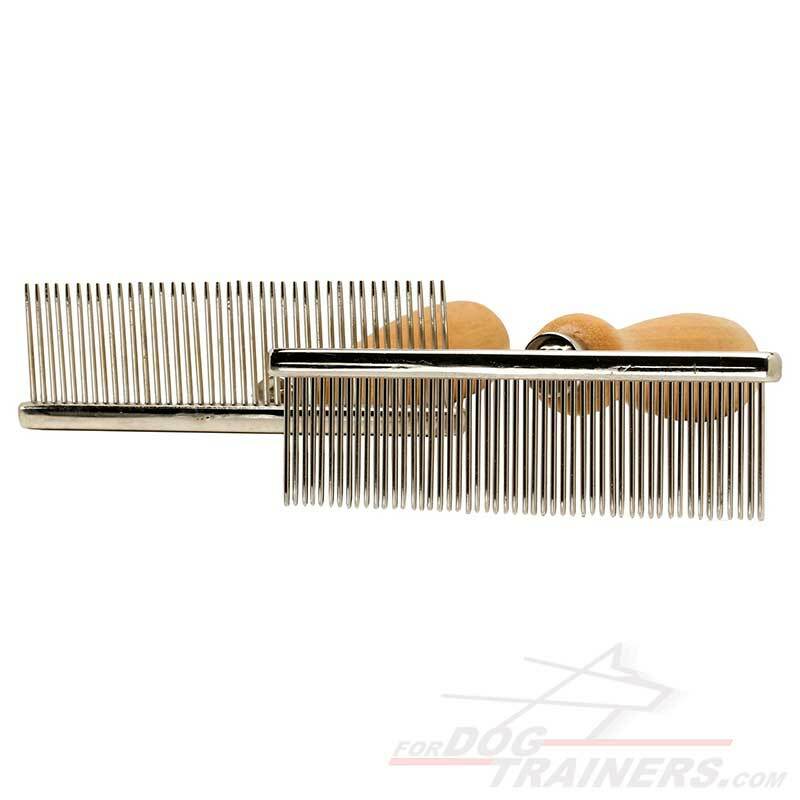 Newly designed Chrome Plated Dog Comb will be the best choice for you if you need to comb your dog in the thickest coat areas. Due to the length of the teeth and the distance between them it is good for styling, cleaning and managing hair of your pet. 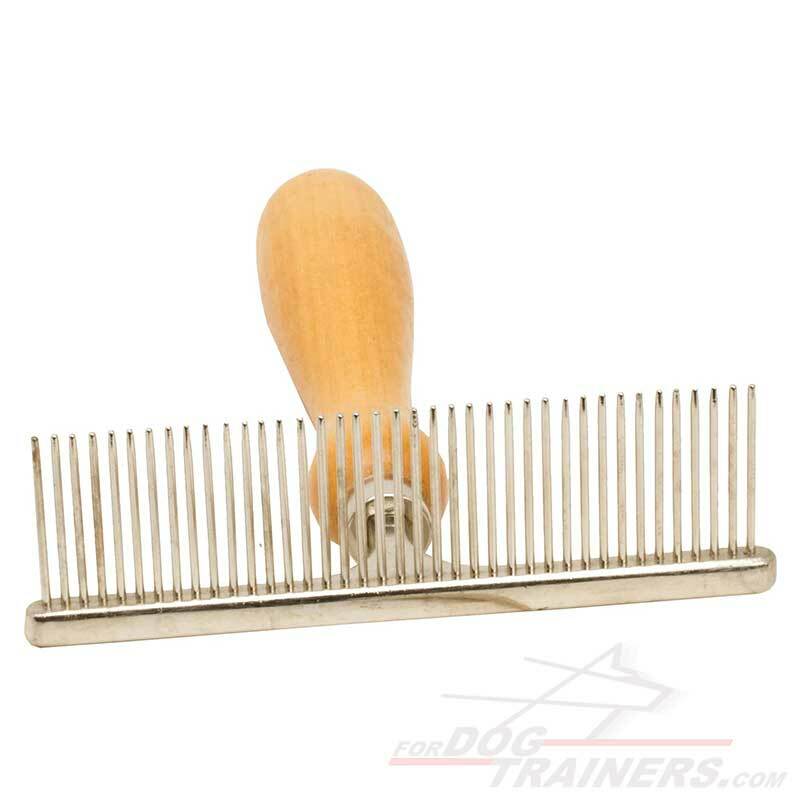 Long-haired dogs very often have tangles and mats. The only way to get rid of them is to comb or brush their hair. 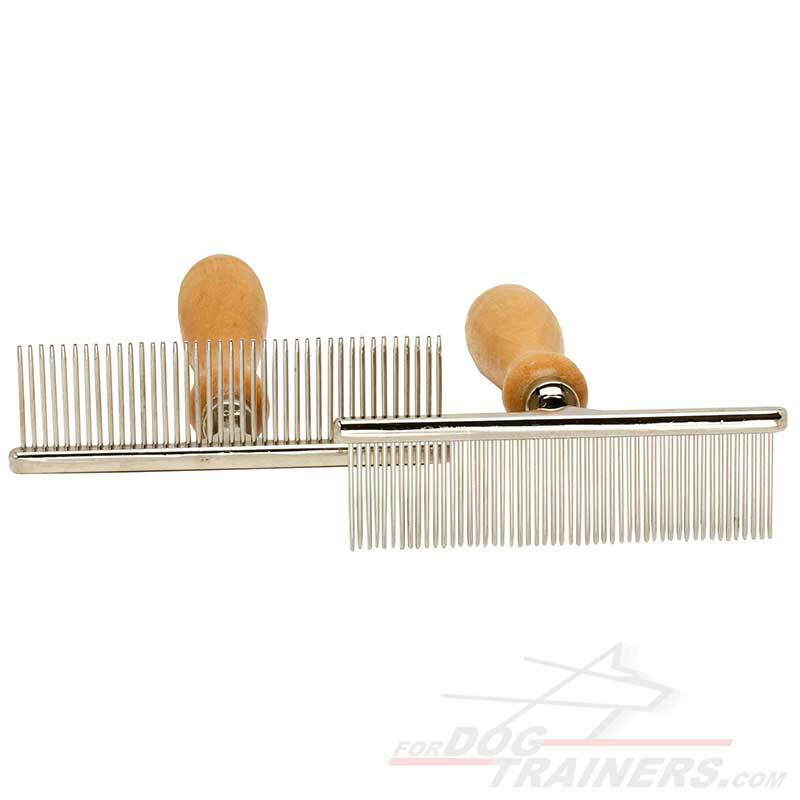 Our Chrome Plated Dog Comb with Handy Handle is very comfortable in use for a dog owner and very effective for combing dogs with long coat. Though the look of this comb has nothing special, its teeth are placed at a quite good distance so as to allow the comb slide easily along the hair. 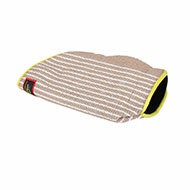 Due the wooden handle for better grip you will be able to remove mats, tangles, dirt with minimal effort. It will also be your great helper for combing the areas with the most dense: ears, neck, back side of the upper thigh etc. Using this dog comb your dog's coat will look healthy, shiny and very beautiful. 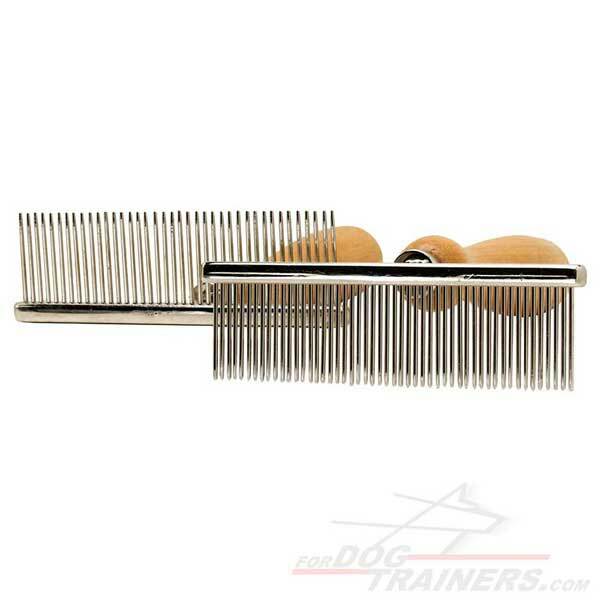 If you own a short-haired dog then you can use our Personal Stylist Metal Comb specially created for dogs with short coat. 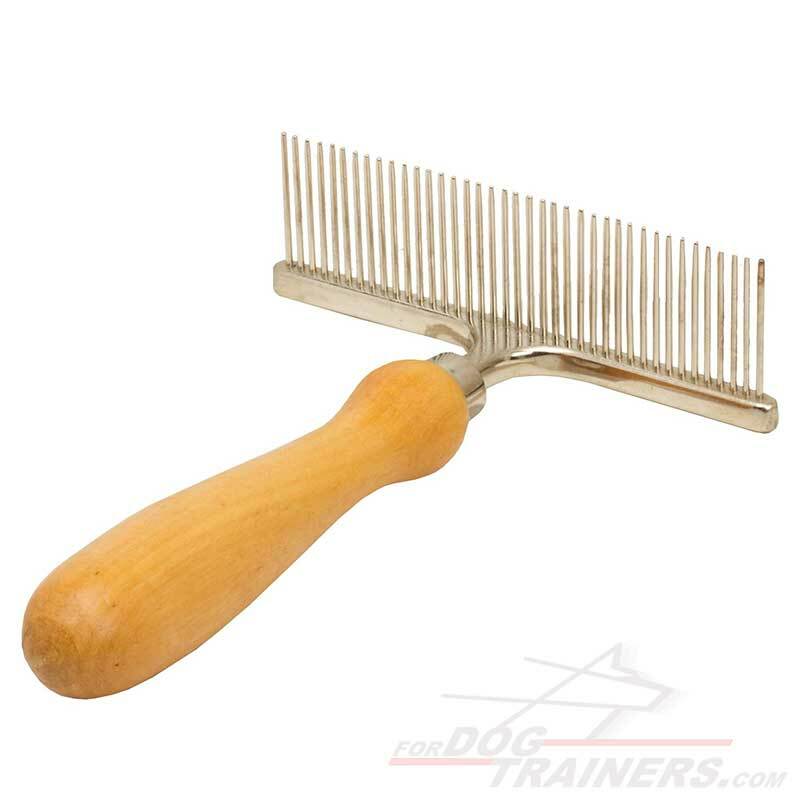 Its teeth are located at a smaller width thus will groom your dog's fur more effectively than other combs or brushes. On the pictures below you can see this difference. Please click the following link to check the Styler Comb for Short-Haired Dogs.